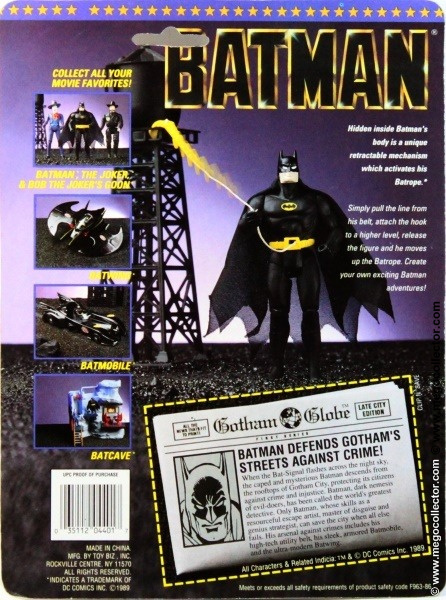 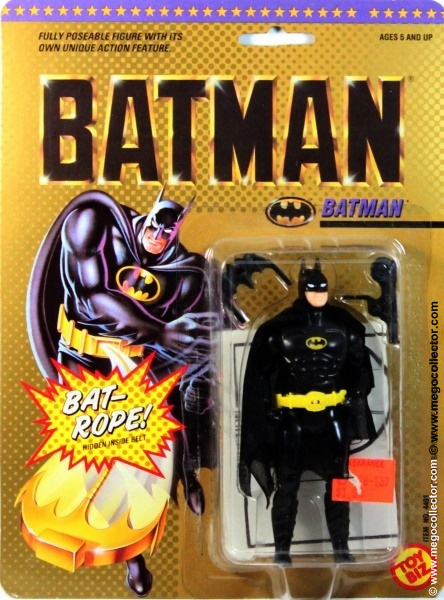 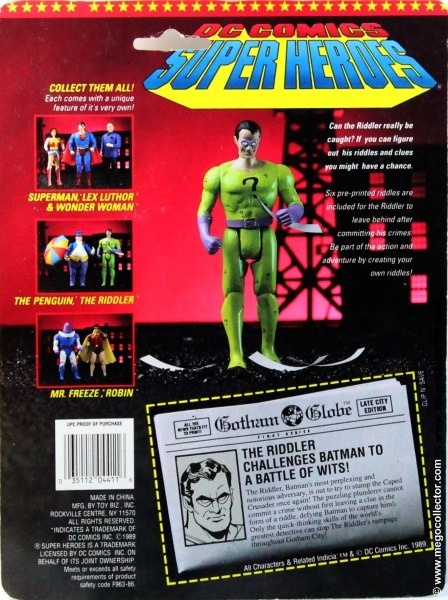 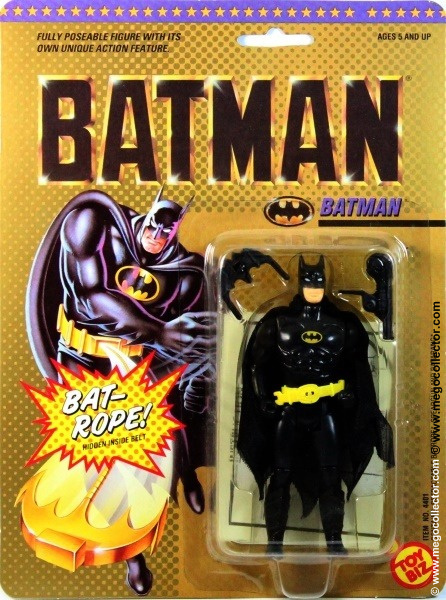 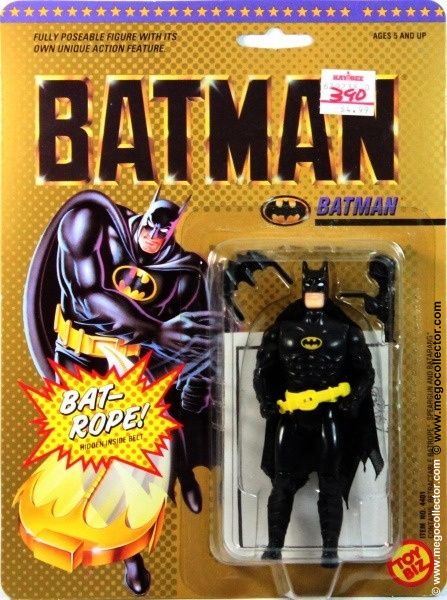 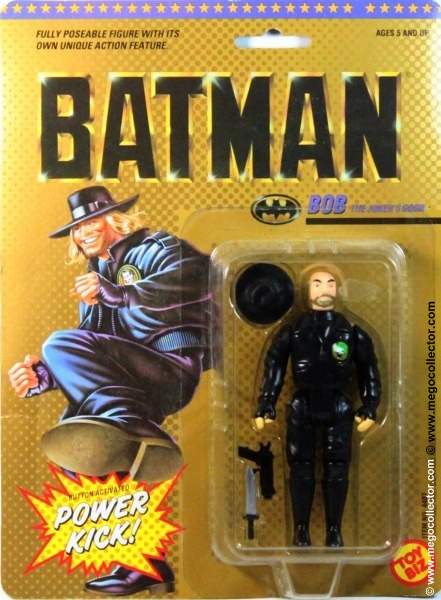 The DC Comics Super Heroes line was released in 1989 by ToyBiz and began as Batman series based on the Batman movie starring Michael Keaton. 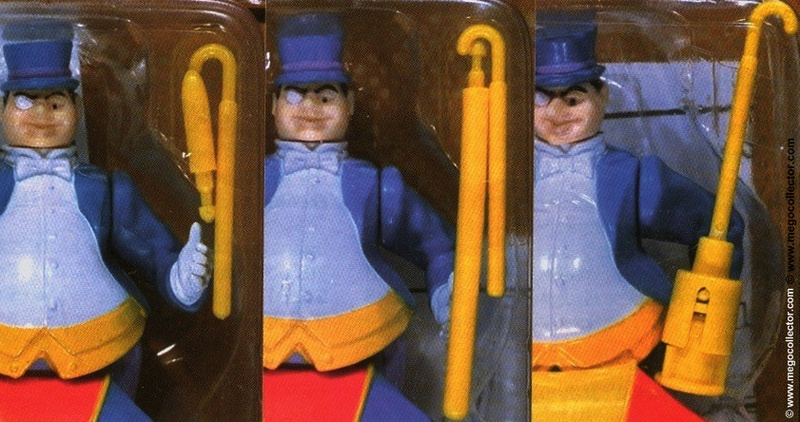 There are three figures to this set, with variations totaling seven. 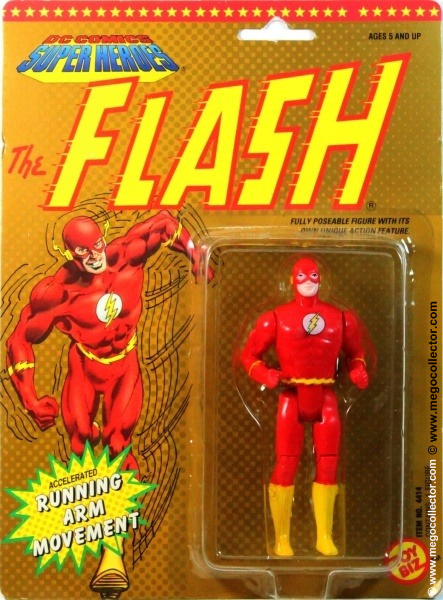 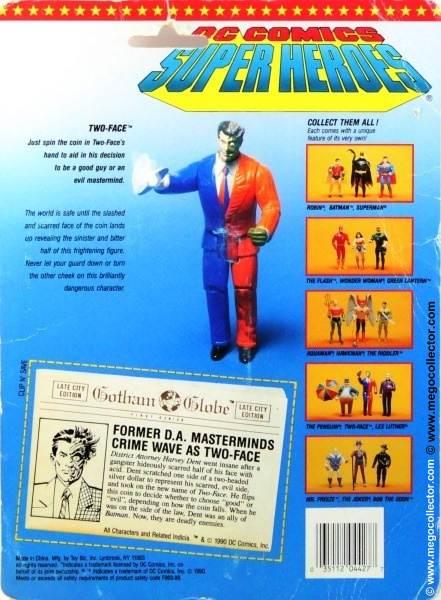 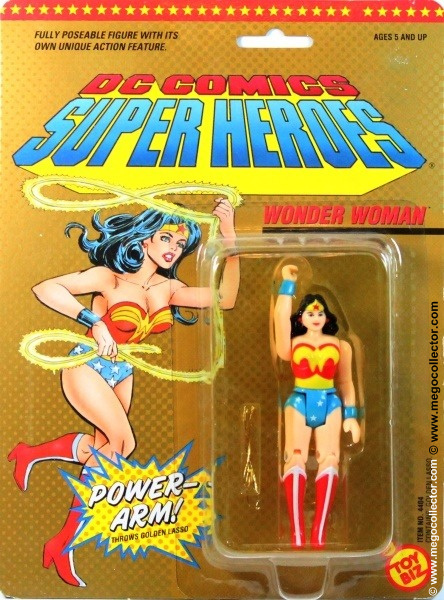 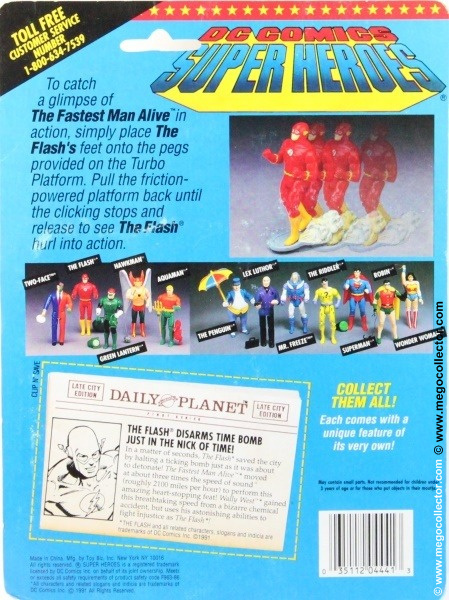 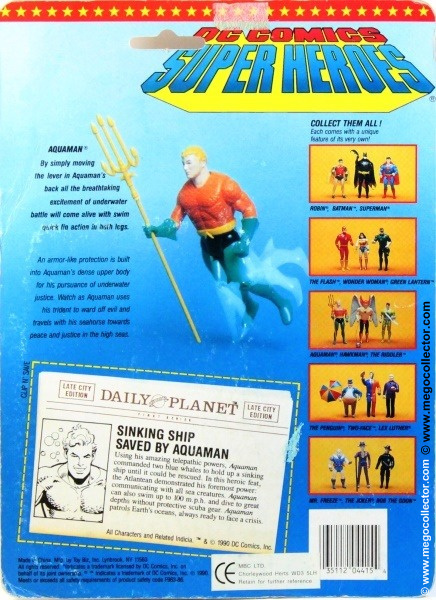 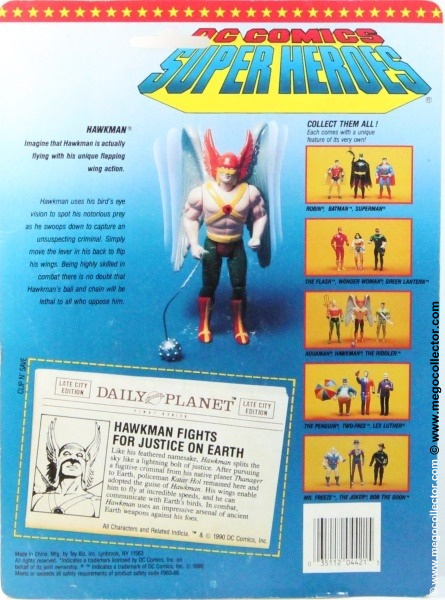 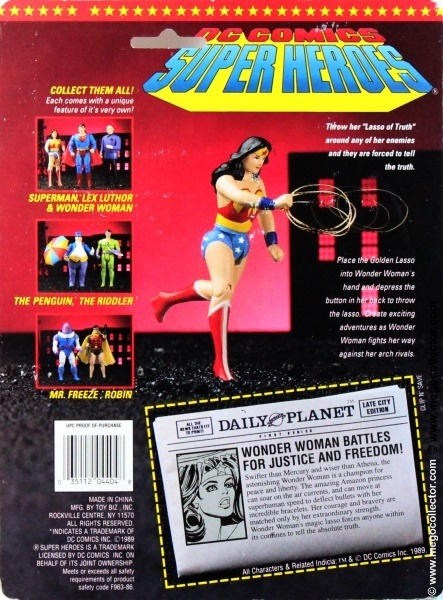 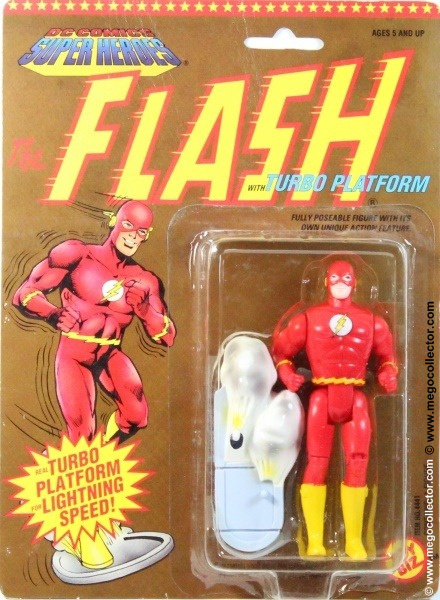 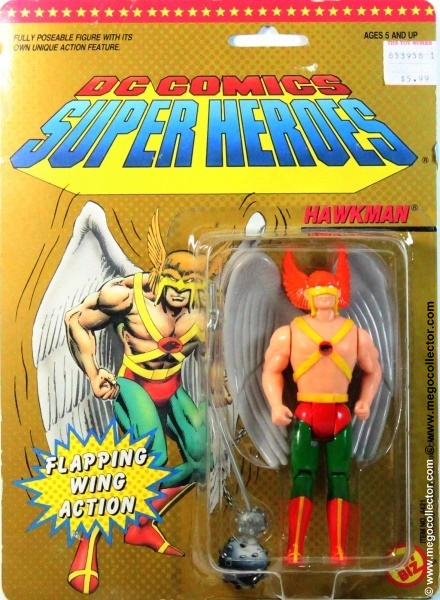 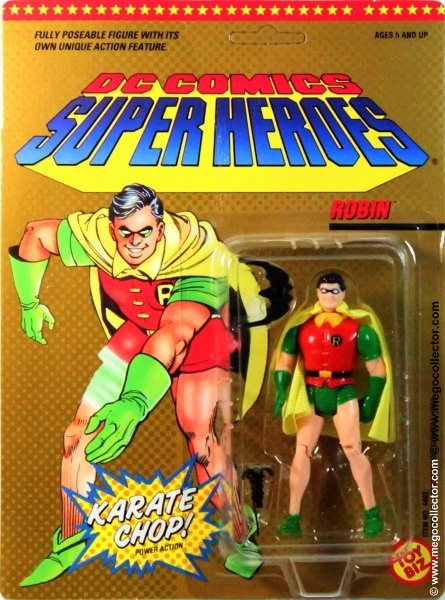 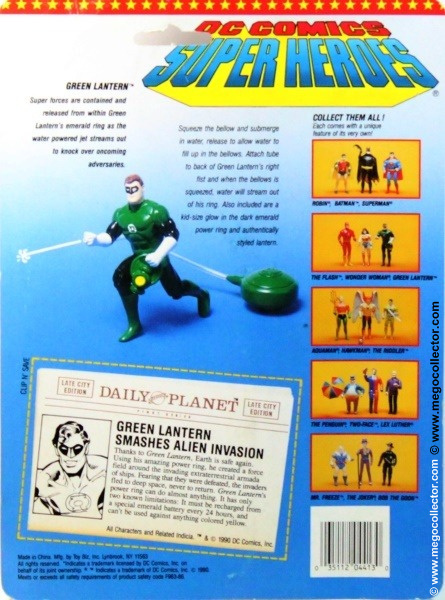 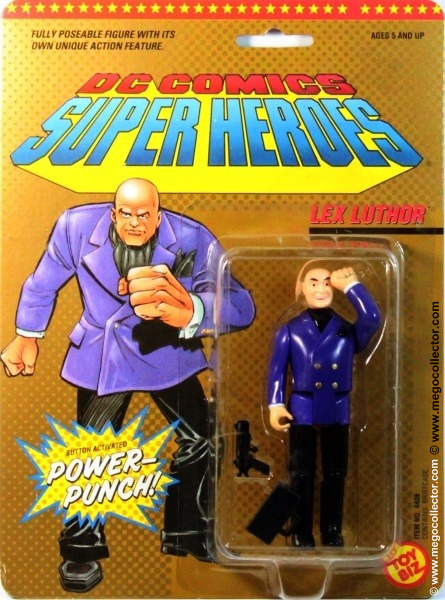 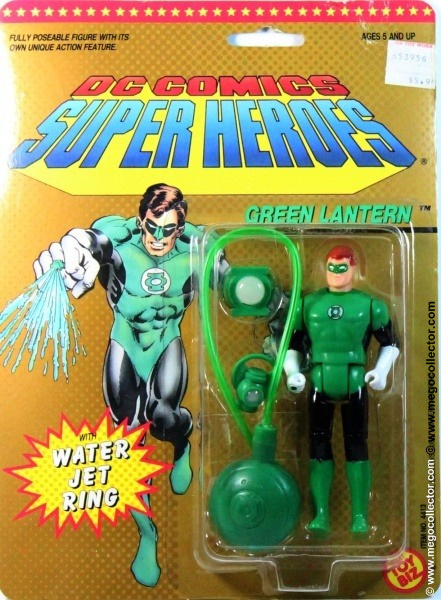 As the DC Comics Super Heroes line, there are only 12 figures to this set, however, adding the variations brings the total to 17 figures. 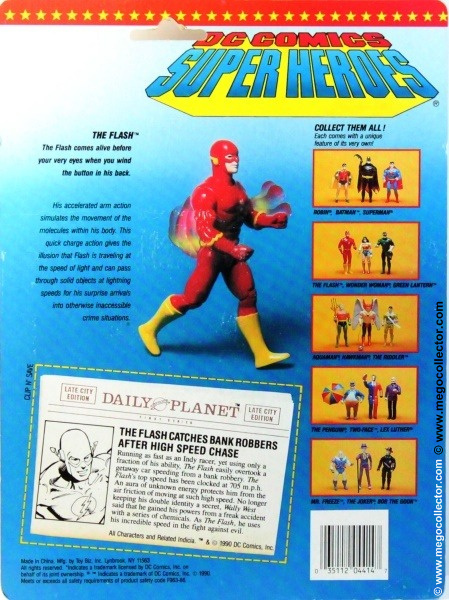 The toughest regular release card seems to be Superman. 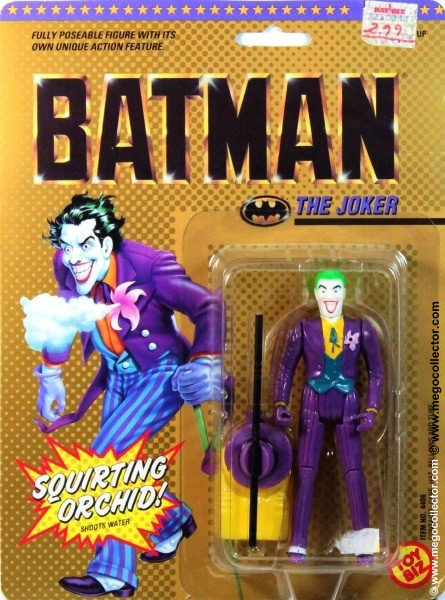 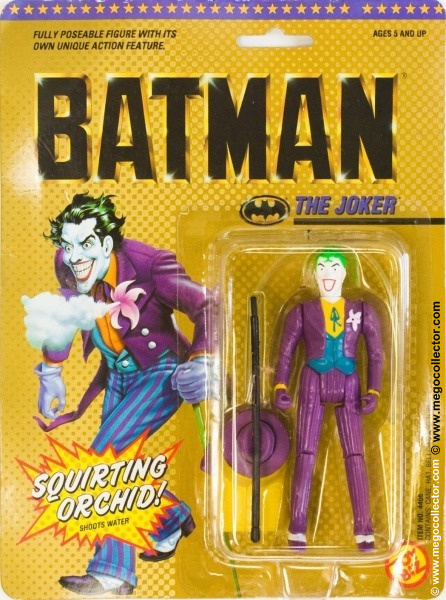 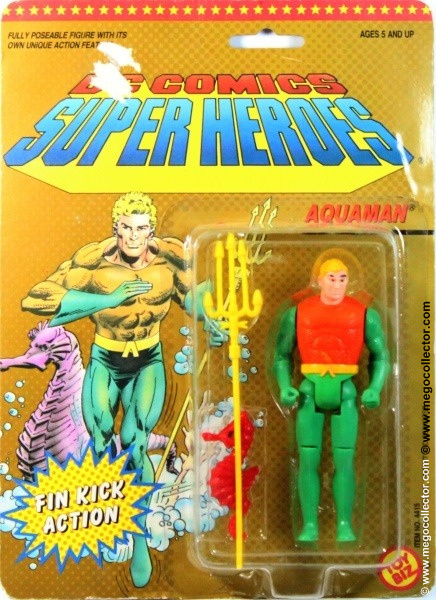 Among the variations, one maybe two Batman variations, Joker with hair, the two Penguin with missile-firing missiles are difficult and the green limbed Aquaman on US card, which I believe was released only overseas. 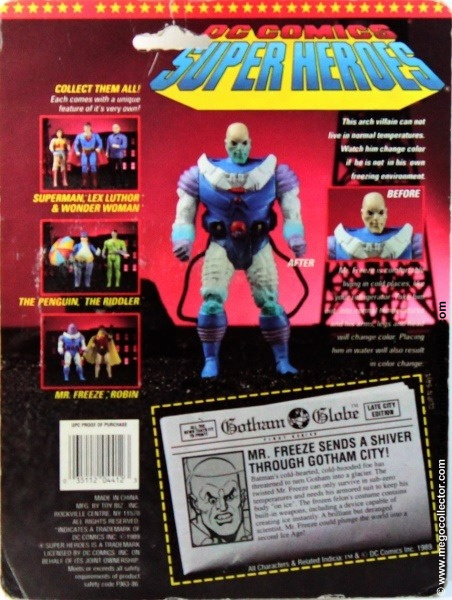 Notice that there are really at least four different Batman heads, not three as the guides depict. 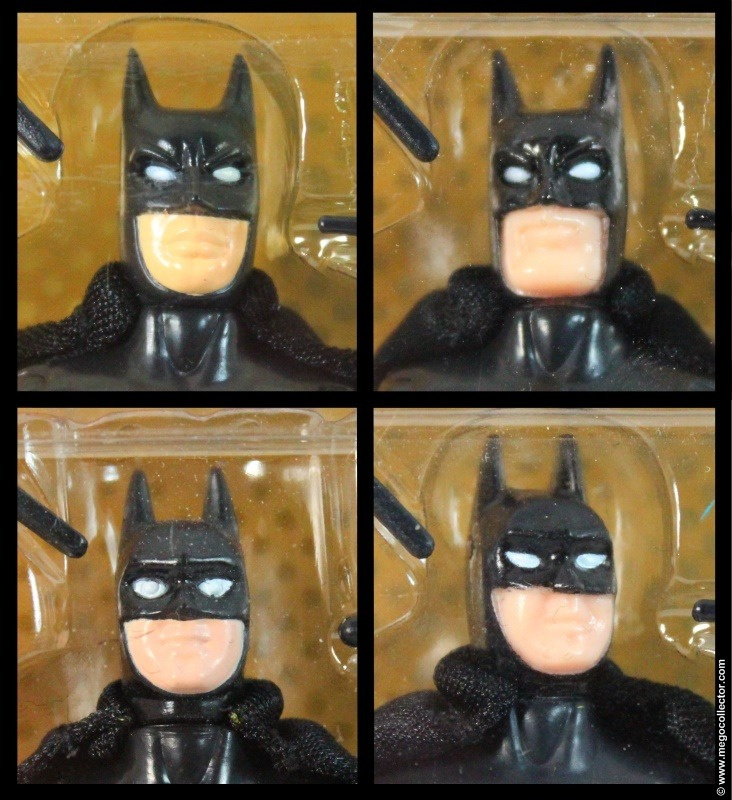 From top, left corner, the cowl ears are far apart, the jaw is distinct, with full lips. 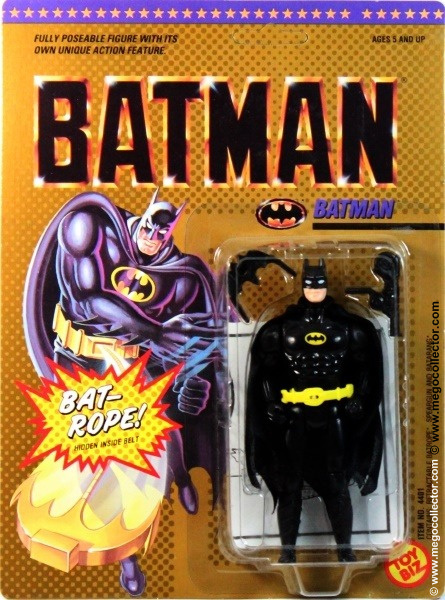 The right, top corner, the cowl ears are far apart with square jaw. 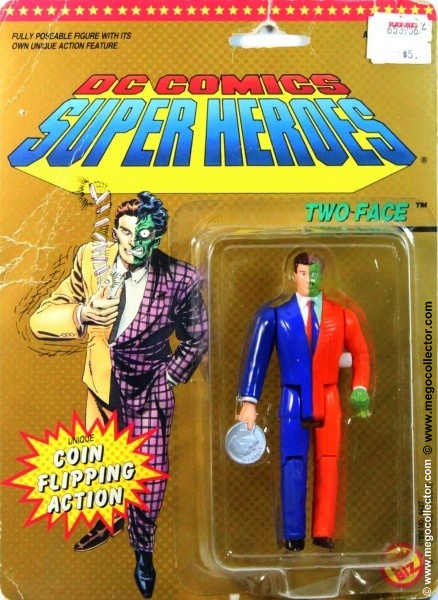 The bottom, left has cowl ears rounded inward, the face is flesh tone painted, and the bubble around the head is rectangular. 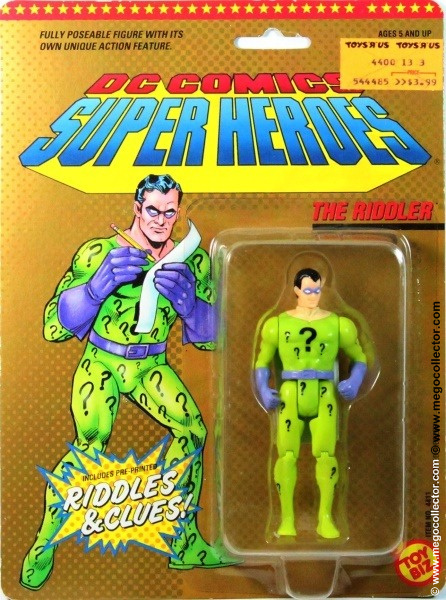 The bottom, righ has cowl ers rounded inward, the face is flesh tone molded, and the bubble is rounded around the head. 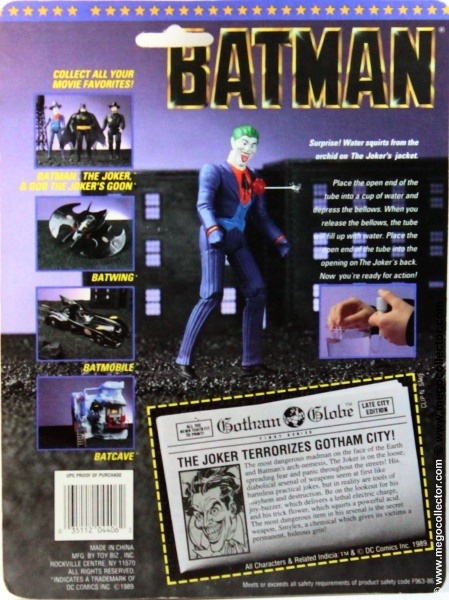 All images except for the Joker with hair variation are from my collection. 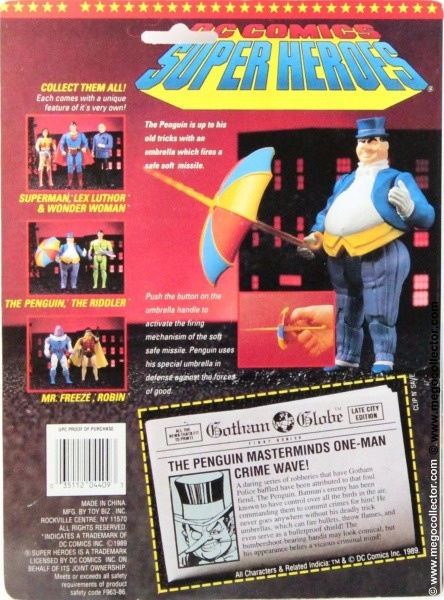 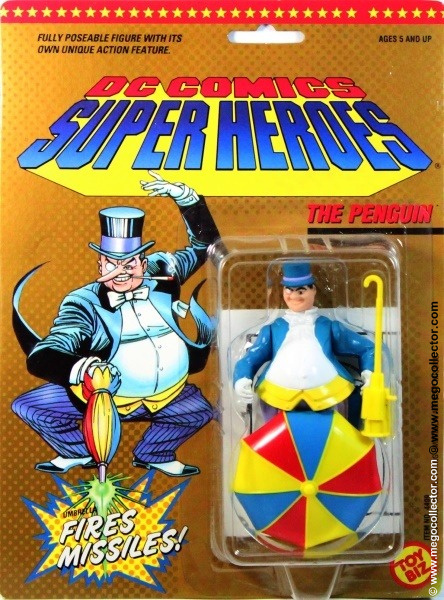 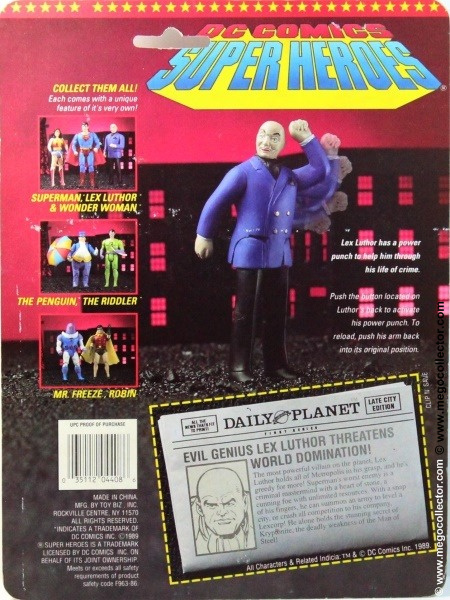 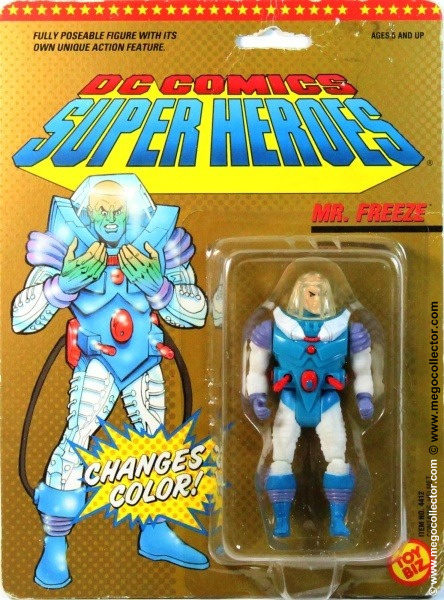 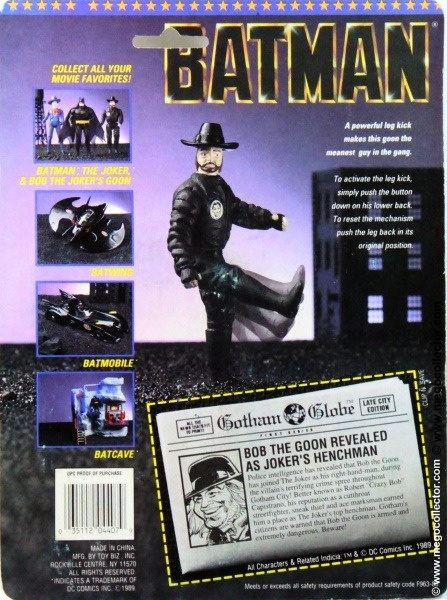 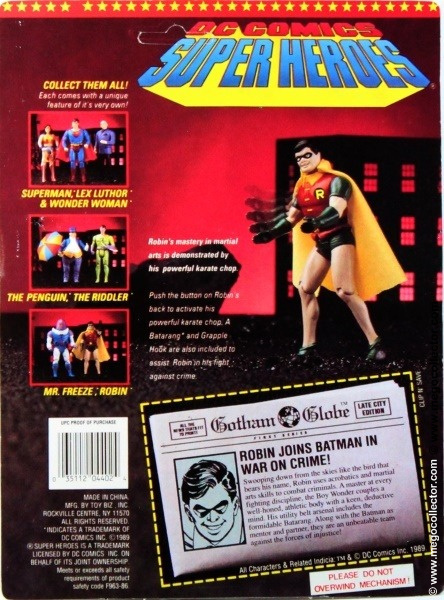 The images of the Penguin variants and the missing five figures are taken from Tomart’s Encyclopedia and Price Guide to Action Figure Collectibles.